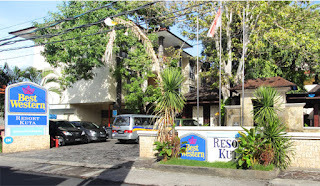 Best Western Resort Kuta is located in the most famous tourist destination in the world, Kuta, Bali. Everything to delight and satisfy your trip is just about walking distance away. 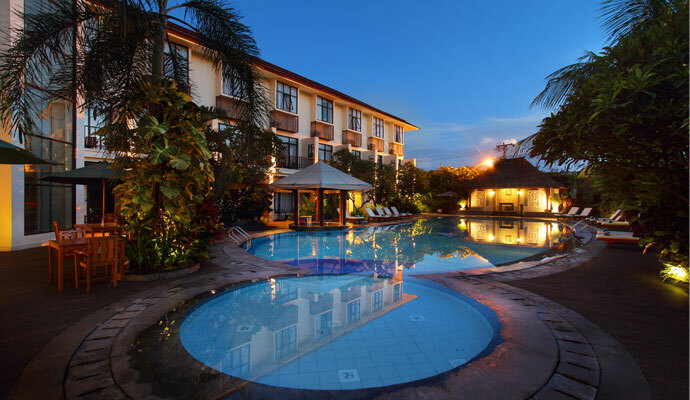 The sandy Kuta Beach, Kuta souvenir shopping area, night life entertainment, local and international food array, and rich cultures, are waiting for you to discover. Our spacious Balinese rooms are equipped with air conditioner, 60 channel cable television, free Internet Wi-Fi, and very comfortable beds are ready to pamper you during your stay. Our property features an elegant Balinese style lobby, cozy green garden lounge under a big banyan tree for you to chill and relax. The "open air" dining room is located in front of our swimming pools. 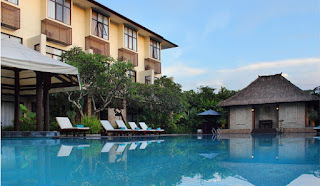 We have a pool for kids, adults, and a three meter deep pool for diving practice. 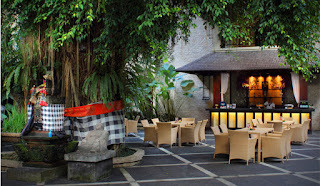 A spa is also present for you to revitalize your energy. Whether you feel like exploring or just staying in, Best Western Resort Kuta will make your stay a pleasantly memorable one. Make a reservation today and save! Enjoy your stay. 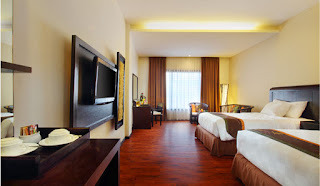 ** Complimentary continental breakfast, choice of breads, cereal, fruit, eggs, yogurt, juice, coffee, and hot items.